ANNAPOLIS, Maryland (Sept. 16, 2016) — Century 21 New Millennium has set an October 31 deadline for sealed bids on 226.37+/- acres that include a popular event venue, historic inn, and scenic shoreline on Thompson Creek and Cox Creek, two significant tributaries that feed into the Chesapeake Bay. “The property has been a popular escape for nearly two centuries. It’s truly a one-of-a-kind parcel that has development potential as well,” said Lori Willis, the co-listing agent with Century 21 New Millennium and longtime Queen Anne’s County resident. The property has a listing price of $6 million. The sale of the property is being managed by Stephen Karbelk, of Realty Markets, a Century 21 New Millennium Team. “It hosts weddings, family reunions and yoga retreats nearly every weekend and a variety of corporate business meetings mid-week. We expect the new owner will continue this tradition while also taking advantage of the growth opportunities this property offers. The seller will only entertain offers that commit to existing contracts,” said Karbelk. 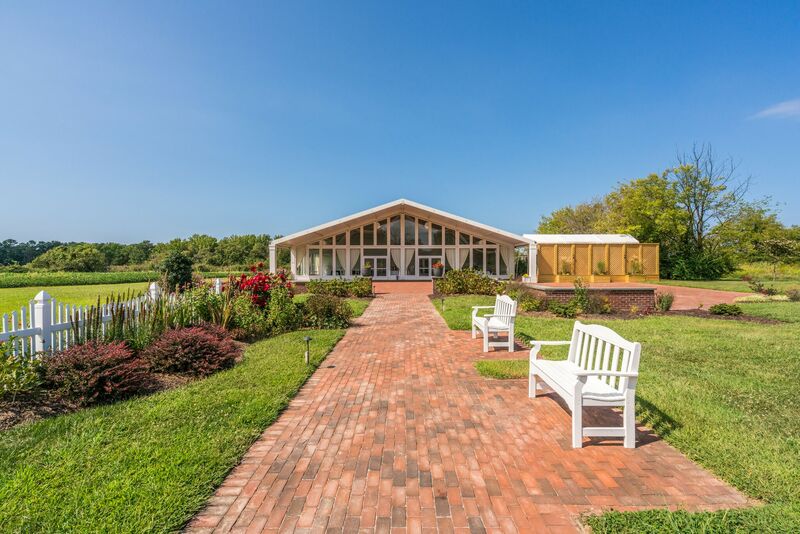 “The property is easily accessible from Annapolis, Washington D.C., Baltimore and Philadelphia, being just minutes off Route 50 and the Bay Bridge. It has luxurious accommodations, expansive water views, an outdoor pool, two banquet spaces for nearly 450 people, and a dock. The offering includes all of the personal property and the on-going business assets of the operating entity, including its well known brand,” said Karbelk. The property in Queen Anne’s County is zoned Hotel Resort, allowing up to 125 hotel rooms and all uses ancillary to a resort hotel. Additionally, it’s poised to participate in the development already under way around it, according to Karbelk. On March 26, 2015, the County granted final approval for a major site plan. “This property has all the earmarking for future residential development, including the potential for up to 600 single family homes,” said Karbelk. Sealed bids are due by Monday, Oct. 31, 2016. Individuals seeking additional information may call Karbelk at 571-481-1037, or Willis at 410-708-1277 or visit RealtyMarkets.com. Realty Markets is a Century 21 New Millennium team based in the One Loudoun office in Ashburn, Virginia. Led by Karbelk, the team services commercial and residential properties in Maryland, DC and Virginia.